Breathless Punta Cana Resort and Spa – Escape to an exciting all-adult destination in Punta Cana, Dominican Republic, located in the Uvero Alto region, nestled between the jungle and ocean, where captivating beauty and chic style combine with non-stop adventure and Unlimited-Luxury. 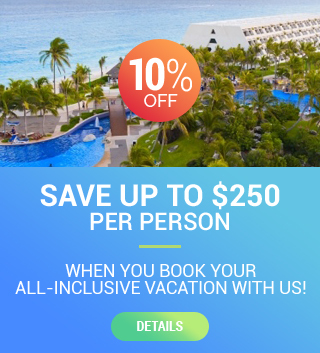 Breathless Punta Cana Resort &Spa, is a vibrant, modern experience for sophisticated singles, couples and friends, mix and mingle with people from around the world or reconnect with those that mean the world to you. Breathless Punta Cana opened in 2013 and has 750 suites combining traditional and Caribbean décor. Relax in your suite with beautiful views of the ocean, pool and lush tropical gardens. 601 sq. ft., Personalized check-in/out, Club lounge, 2 private pools, Jacuzzi on balcony, Pillow menu, Complimentary wireless internet , Computer access in lounge, Upgraded mini-bar & room service, Private restaurant for breakfast & lunch and much more! Swim-out suites have access to the pool. All suites haven air conditioning, fan, Balcony or Terrace, minibar, coffee maker, hair dryer. Iron, radio alarm clock, telephone, television, room safe and non smoking rooms are available. Spoon – Main buffet restaurant featuring a variety of local international cuisines. Dress Code: Casual attire. Kibbe – Gourmet Lebanese cuisine served in an elegant, romantic atmosphere. Attire: Casual Elegance. Open 6:00 pm – 10:45 pm. Coco Cafe – Where you can enjoy delectable premium brand coffee drinks in a relaxing setting. Bites – Enjoy small plates and taste a little bit of everything at this tapas restaurant, featuring a contemporary cool atmosphere. Air-conditioned with outdoor seating available. Barefoot Grille – Delicious burgers and snacks served on the beach. Silk City – Pan-Asian cuisine in an elegant atmosphere. Air-conditioned. Attire: Casual Elegance. Coquette – Gourmet a la carte French cuisine in an elegant atmosphere. Air-conditioned. Attire: Casual Elegance. Sofrito – Latin Criollo cuisine. Spumante – A menu serving a variety of gourmet a la carte Italian specialties. Air-conditioned with outdoor seating available. Culinaria – A variety of eclectic dishes. Air-conditioned. Sip your favorite drinks in any of the Nine Chic Bars and lounges including a swim bar. All premium bears, spirits and certain wines are served for your enjoyment. Beachbound guests can play volleyball, grab a kayak, go snorkeling or go sailing. While woven throughout the resort grounds, the hotel offers dance lessons, Spanish classes, pool tables, basketball and more! Enjoy eight shimmering swimming pools, two tennis courts. If pampering is your liking the Breathless Spa by Pevonia is there for you to enjoy. Enjoy a show at the indoor theatre, dance to live music throughout the property, or catch a movie on the big screen beachside. The action at Breathless heats up when the sun goes down. You can also try your luck at the Casino. Relax in your stylish suite featuring spectacular views of the ocean, pool and lush tropical gardens. Breathless Punta Cana features 750 with guest suites combining contemporary and traditional Caribbean décor. Each year AAA reviews more than 28,000 hotels including resorts, historic inns, B&Bs and more. Competition is high, as just 0.4 percent make the AAA Five Diamond list and only 5.7 percent make the AAA Four Diamond list. 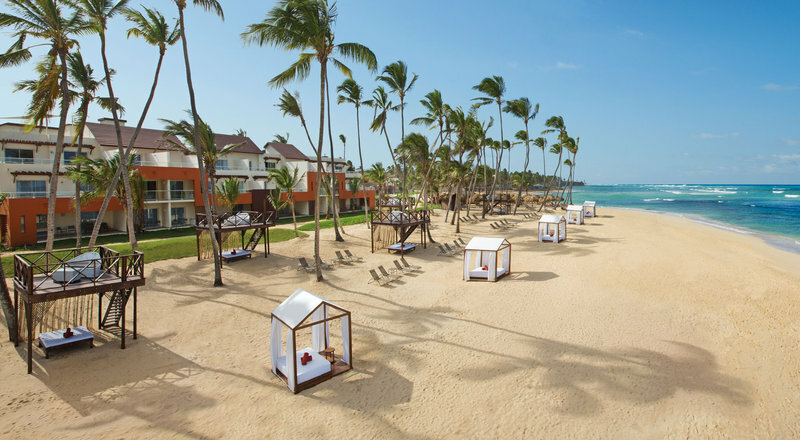 Breathless Punta Cana Resort and Spa was awarded the AAA Four Diamond Award in 2015.